Hay Festival and Ruskin Mill Trust present a special two-day conference, 19–20 July 2019, themed 'Autism – Re-imagining Our Potential'. Exploring and celebrating neurodiversity, the conference will build on the success of last year's inaugural Hay at the Mill collaboration, featuring talks, panels, performances and workshops offering new perspectives on autism. 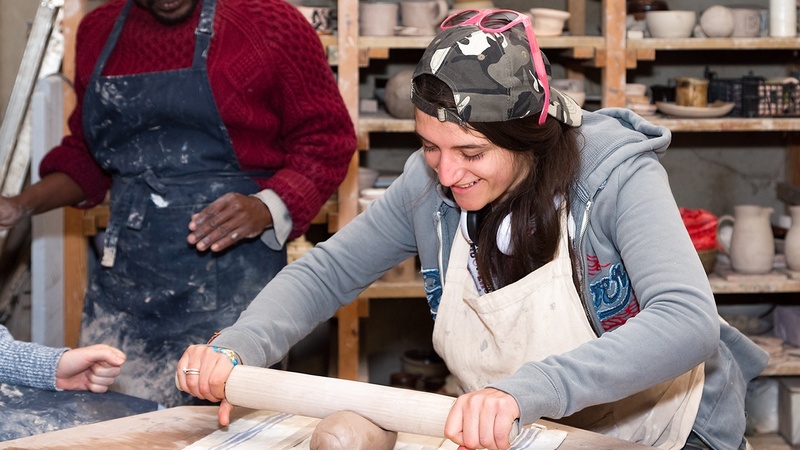 Aimed at autistic people and the professionals and parents that work alongside them, delegates will work with Ruskin Mill students and tutors to experience the therapeutic and productive aspects of a craft-based curriculum. This year's programme will be released in the spring, though interest can be registered with Sue Smee on sue.smee@rmc.rmt.org or 01453 837 537. Speakers and performers last year included international best-selling author Amanda Prowse; University of Kent’s Dr Shaun May; author of Autism: How to Raise a Happy Child Jessie Hewitson; UKELA’s Dr Veneta Cooney; Anglia Ruskin University’s Dr David Pearson; medical advisor and trainer Dr Peter Grunewald; poet Kate Fox; artist in residence Jon Adams; Ruskin Mill College’s Principal Grainnne O’Reilly; and Founder and Executive Chair of Ruskin Mill Trust, Aonghus Gordon.